You also need a mold, and some water in a spray bottle. 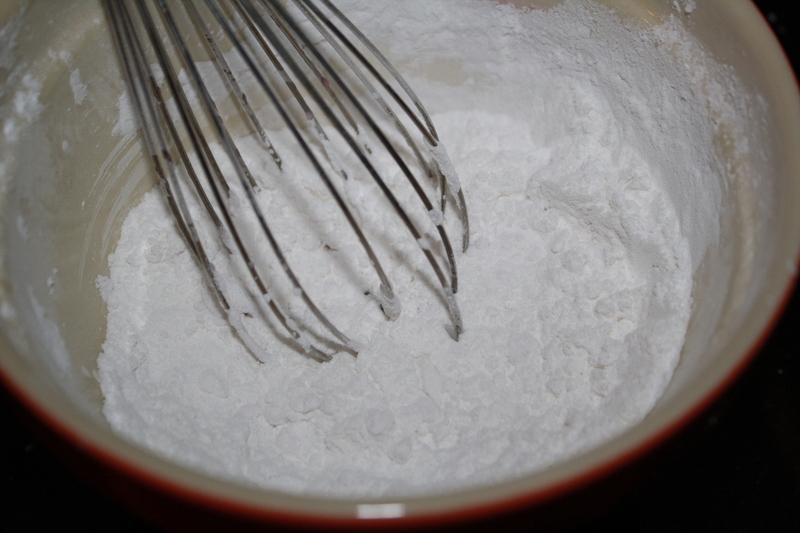 Martha suggests mixing the baking soda, cornstarch and citric acid together and running them through a sieve to remove the chunks. 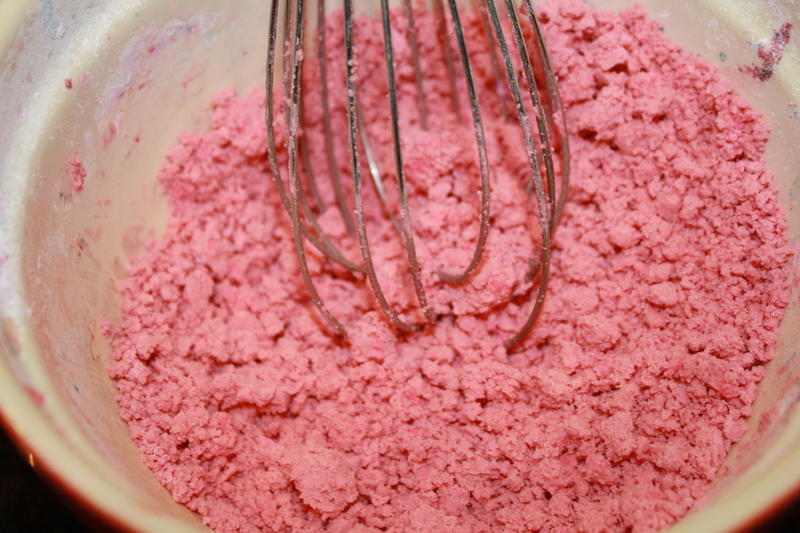 Mine wasn’t very chunky to begin with, so instead of dirtying the sieve, I just stirred the mixture together with a wire whisk to make sure there were no lumps. Also, I didn’t have two cups of cornstarch, so I did a mixture of 1/2 cornstarch and 1/2 arrowroot. This, I am telling you in the interest of full disclosure. Next, per Martha’s instruction, I took one cup of the mixture and put it into a glass bowl. 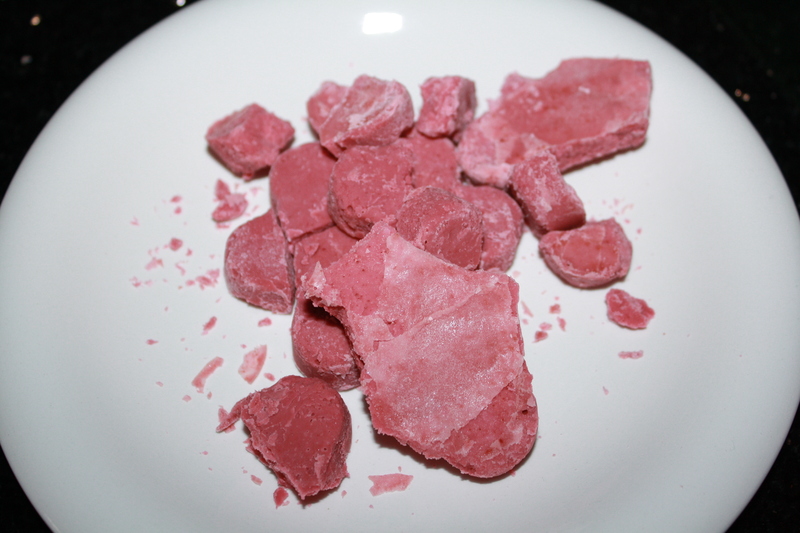 After adding red food coloring to my water bottle, I spritzed the mixture a bit and then whisked, spritzed and whisked until I had a thick, almost doughy kind of paste. 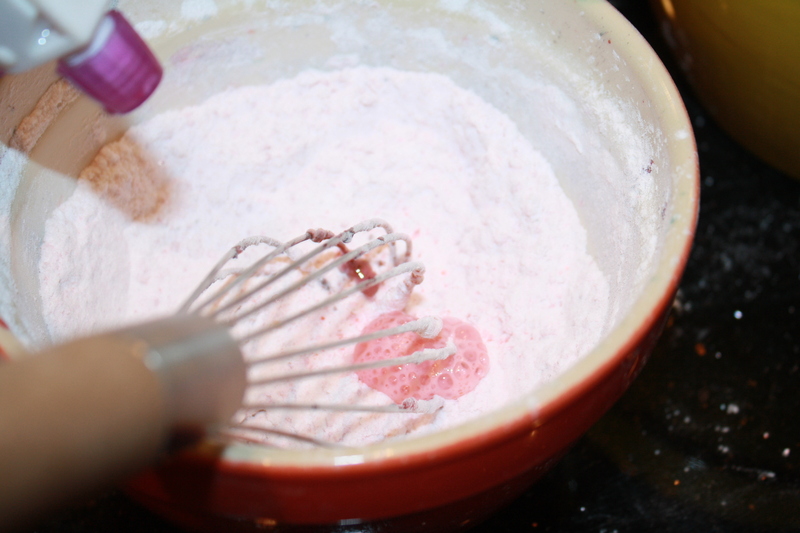 This process was really tricky because every time the water came in contact with the mixture, it began to bubble, and Martha said that I should not let it fizz. This was also the point when I added the essential oils, but they made it fizz as well. 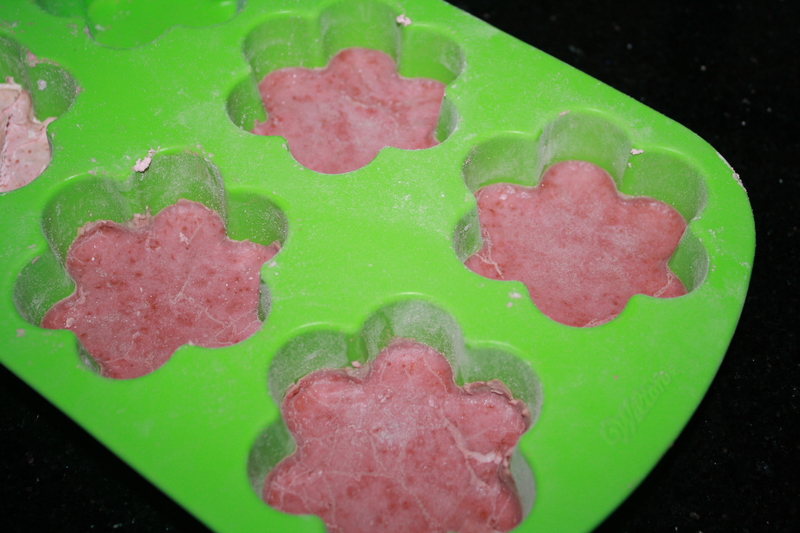 I put the mixture into silicone baking molds, and left them to dry for two hours. 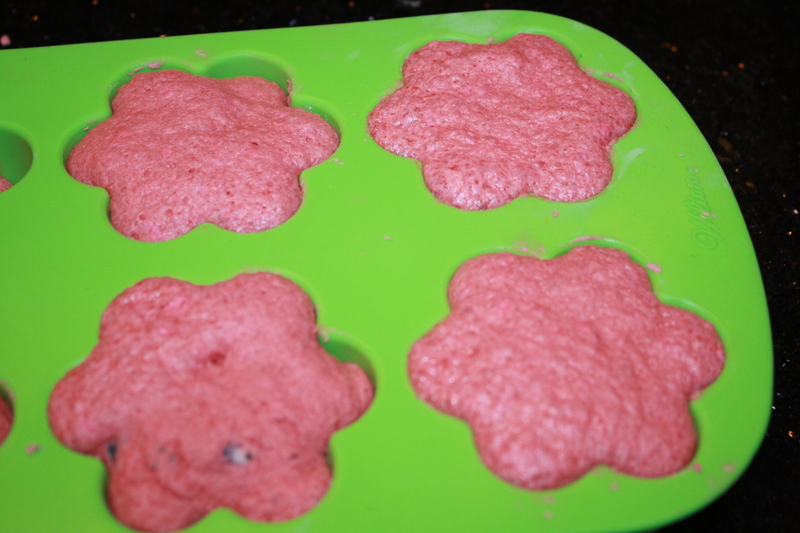 But, as the time passed, the little scented cakes rose out of their molds! There seemed to be a lot of air inside of them, and I began to fear that this would be the only fizz they produced. Was this because I used too much water? Was it because of the arrowroot? I’m not sure. In any case, I scraped off the top and pushed what was left down into the mold. Came back a little later and the cakes were really dry. So dry that they couldn’t be removed from the molds without cracking. So I added some more water and packed them down. This time, they dried overnight, but in the morning, they were still too fragile to remove from the mold. Plus they smelled less like lavender and vanilla and more like Play-Doh. 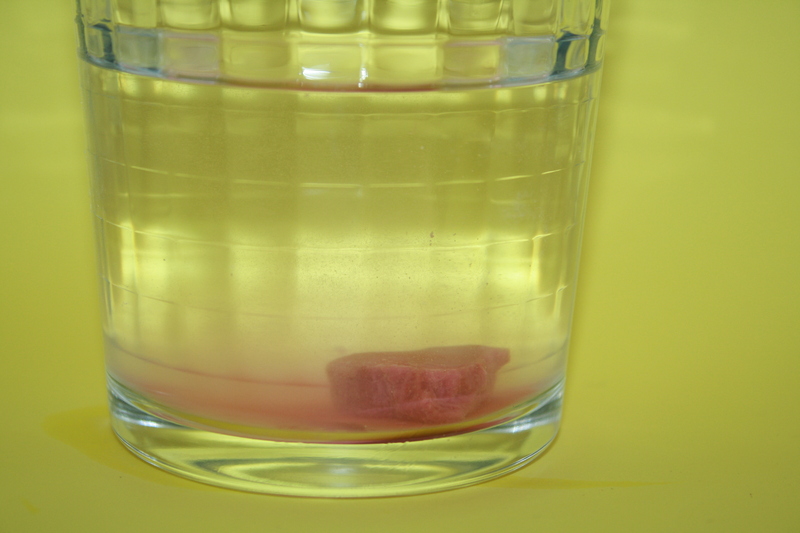 And, this was really the essential part of the whole thing, they didn’t fizz when I put them in water.